HomeBlogWhy Should Your Business Have Strong KPIs? Business is going strong, climbing quarter over quarter. But suddenly, it begins to drop. What’s going on? Is your sales staff complacent? Have you not spent enough on marketing? Why, why, why? You do not want to find yourself in this position. Quite often, loss of revenue is the first clue a business owner gets that there is a problem afoot. But there’s another, deeper problem here: Perhaps you weren’t tracking any KPIs that could have alerted you to an issue before the revenue drop? You can read all over the Internet about “KPIs” – which stands for key performance indicator – as it pertains to digital marketing. However, few people talk about KPI with respect to plain old marketing analytics. At Massa & Company, we frequently find that organizations either don’t understand what a KPI is (and have selected poorly accordingly), or they don’t pick them at all. People often mistake KPIs for simple data metrics. For example, age is a metric that you could track among your customers, but it’s probably not a KPI for you. A key performance indicator is a metric that reflects how your business is doing. Just because people of a certain age are shopping at your stores doesn’t tell you very much about how you’re doing quarter to quarter. Imagine that you run a retail chain offering a variety of home furnishings. Currently, the only KPI you track is revenue by store. Now imagine that sales have been falling for a few quarters, and unbeknownst to you, it’s the bedding and mattress category that’s dragging the chain revenue down. More specifically, it’s going down strongest among people 65 and over. If the only KPI you’re tracking is revenue by store, you might see the revenue dip, but you won’t see the room group it’s coming from. Your first inclination will be to ask, “which of our stores is losing revenue?” – and you’re likely to be frustrated when a thorough examination fails to uncover much difference between stores. Similarly, the age of your customers, while an important variable, isn’t necessarily a KPI. A stronger KPI would be sales in the bedding and mattress category by age. By identifying this as the issue, a logical next step would be to examine what your competitor stores are doing. You might then discover that specialty mattress stores had been popping up that offer deeper discounts or unique in-store tools to fit customers with their perfect mattress. By offering these same discounts and utilizing the same tools in your own stores, you might completely turn around your revenue dip. It’s harder to track KPIs outside of the web world – and some organizations track too many variables to be effective. In reality, you only need 4 or 5 KPIs every month to identify trends in your business. When you have strong KPIs in place and have a set threshold for acceptable movement in each KPI (5% change is OK but 6% is not), you have the tools to uncover the “why” behind the unexpected. You can identify problems immediately – instead of months down the road, in some cases – and be much better prepared to handle them. 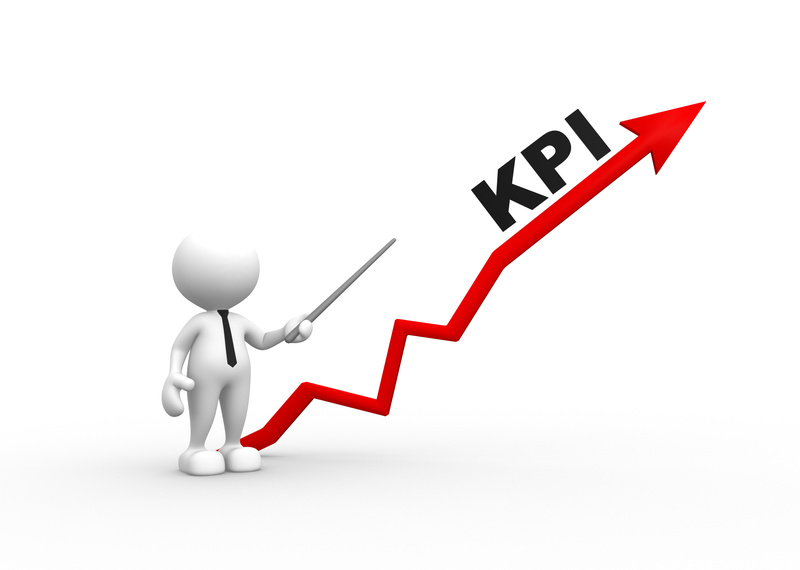 Take the mystery out of the ups and downs of your business by developing a good set of KPIs. They’ll allow you to focus on identifying the actual problem when things don’t go according to plan. I have a KPI of my own when it comes to dessert: does it make my brains fall out? It doesn’t get much better than “Oh My! Caramel Pie” (yes, that’s really its name) from Chicago restaurant, Beatrix. Even though it doesn’t contain chocolate, I promise it is absolutely divine. Really, you can trust my KPI on this one! I have not made this pie before, but here is a video of Beatrix’s pastry chef Yasmin Gutierrez showing how it’s done. A word to the wise: caramel is tricky to prepare, and easy to burn. Maybe wait until your next time in Chicago to indulge in this one.